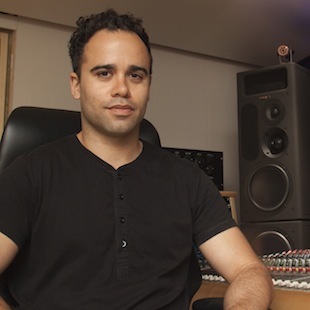 Producer, mix engineer and multi-instrumentalist composer Gareth Johnson opened his own production studio at Metropolis Studios in London recently, equipping it with a pair of PMC’s IB2S XBD-A speakers. The latest addition to the monitoring at the new facility is a pair of PMC’s twotwo.6 nearfields. Recently, Johnson completed mixing the audio for an upcoming release for The Who in 5.1 surround, at the same time as producing his own electronic music with backing from a 30-piece choir and the Royal Philharmonic Orchestra recorded at Abbey Road. "In any given week, I’m always working on a cross-section of music so that I don’t get bored," he reflected from behind his vintage Trident console at Metropolis. "Last week, I had a rock session on Monday and Tuesday, tech metal on Wednesday, then I was mixing my upcoming electronica and orchestral crossover project on Thursday. So reference monitors that sound good just for electronic dance music, or for rock aren’t much use to me. I need something that I can trust on all styles of music, and will give me mixes that transfer between playback systems without sounding different. The PMCs have always done that for me. I need to be able to trust what I’m hearing from top to bottom, so a top-notch full-range monitoring system was essential. I always try to buy British for my main kit, just because I like to have support nearby. PMC have been great in that respect, too." Johnson has been a PMC user for many years, using nearfield TB2s in his old studio. "When I was designing this place, I wanted the largest monitors they made that would work in here. That’s why I got the IB2 Actives with the XBD bass unit. Tracking with them is really exciting and they’re brilliant for checking that you’ve got the bottom end right. They have headroom for days, which is great when you want to shake the room, but they are just as detailed and revealing when I’m monitoring at more sensible levels during mixing. It’s been amazing having proper full-range monitoring in the studio. I’m not looking back." After running in the IB2 XBD-As and getting used to them, Johnson wanted to add some nearfields of the same quality and overall tonal balance. "I looked at PMC’s AML2s initially, but then I heard the new twotwo.6s and that was it. They’re incredibly detailed for nearfields. I can’t praise them highly enough. "Since I got the IB2s and the twotwos, I have been absolutely hammering them with everything I can throw at them. But they’ve got tons of headroom, and they’re helping to make everything sound great. The Who concert has been produced to look and sound good on high-quality systems, and on a big screen with high-resolution monitoring, it sounds incredible."